Were the Monopoly Railroads Real? 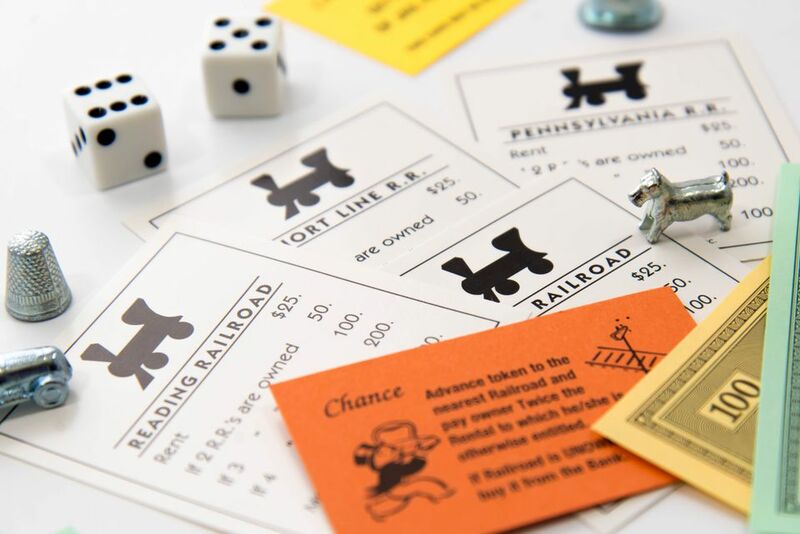 Everybody knows the railroads in the game Monopoly are the Pennsylvania, B&O, Reading, and Short Line, but how many people realize that three of the four were real railroads? The game board is based on Atlantic City, New Jersey. Interestingly, while these railroads were all major players in the region, often engaged in their own monopolistic business practices, several did not actually serve the coastal beach resort town. The venerable PRR sometimes referred to as the Pennsy, has been heralded as "The Standard Railroad of the World". The original line connected Philadelphia and Pittsburgh, but the tracks of the Pennsylvania ultimately served a region bounded by New York, Chicago, St. Louis, and Washington DC. In terms of traffic, the Pennsylvania was for many years the largest railroad in the world. The Pennsylvania did serve Atlantic City, through a subsidiary which was controlled 50/50 with the Reading known as the Pennsylvania-Reading Seashore Lines. In 1968 it merged with the New York Central and became the Penn Central. The Penn Central was later acquired by Conrail, and ultimately by Norfolk Southern Railway. 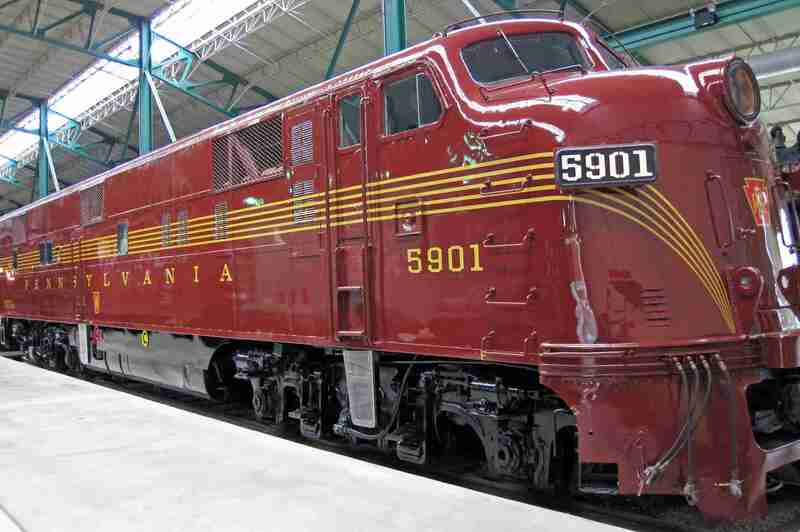 The Pennsylvania still remains one of the most popular railroads among modelers today. The Baltimore and Ohio Railroad was originally chartered to build a line connecting the port of Baltimore to "a suitable place" on the Ohio River. Its construction in 1827 marked the first public charter for a major common-carrier railroad. The state of Maryland later gave the B&O a charter to build a line from Baltimore to Washington, D.C. From these beginnings, the B&O grew to serve much the same region as the Pennsylvania Railroad. The B&O and Pennsylvania were bitter rivals, particularly in the Pittsburgh region where the Pennsylvania legislature itself had blocked the B&O from securing earlier routes into the region to protect the PRR. The two also competed on nearly parallel lines from Jersey City to Washington. The B&O did not serve Atlantic City, but it owned a controlling interest in the Central Railroad of New Jersey which did. Like the Pennsylvania, the Baltimore and Ohio operated for over a century, but in 1963 the B&O became part of the Chessie System, which ultimately merged with the Seaboard System Railroad to become CSX. Take a ride on the Reading. The Philadelphia and Reading Railroad, later the Reading Company, is actually supposed to be pronounced 'redding'. It was originally chartered to build a line between Reading and Philadelphia, Pennsylvania. The "RDG" only served Pennsylvania, Delaware, New Jersey, and Maryland but it made huge profits by hauling coal from mines to cities throughout these states. Though relatively small by mileage, the Reading was the largest corporation in the world by revenue at one time thanks to its huge mining interests. This power would bring about new government regulations concerning the monopoly on trade for companies owning both the mines and the railroads serving them. In 1976 the Reading Company sold all of its railroad holdings to Conrail. The Pennsylvania-Reading Seashore Line assets were included as well. The Monopoly game's Short Line isn't named for a real-life railroad. The game's inventor is reputed to have had a small interurban tram line, the Shore Fast Line, in mind when he named the game property. The term short line applies to any independent railroad with track covering a short distance or small region. While many such railroads have been bought by larger concerns or simply gone out of business, they are far from extinct. Today, the non-profit American Short Line and Regional Railroad Association (ASLRRA) has over 400 member railroads which together operate 29% of the railroad tracks in America.